What’s better than star gazing? 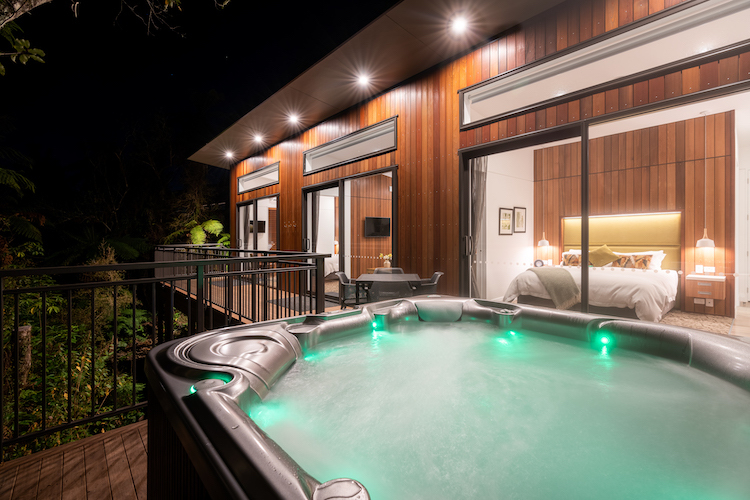 Star gazing from your own private spa pool on the deck of a deluxe tree house of course. 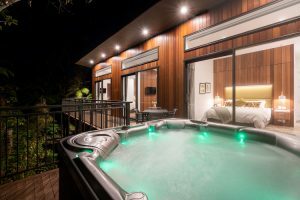 There’s no nicer way to end a hard day travelling than relaxing in a hot tub with a drink in hand at the Rainforest Retreat in Franz Josef. Oscar says their accommodation options are very versatile. Oscar says whether visitors are travelling on a budget, exploring in motor-home, needing some civilisation after roughing it, or passing through and wanting a bite, they offer something for everyone.